What's the magic number for oil companies to jump back in? Everyone wants to know: is this oil rally to $50 a barrel legit or another false start like last year? The answer to that big question could lie in the Permian Basin, the West Texas oil play, where drillers can squeeze out profits even at low prices. Now that oil prices have nearly doubled from their February lows, the key will be whether frackers in the Permian start pumping like crazy again. That's what happened in early 2015, when oil prices had recovered a little bit. The extra pumping deepened the big supply glut and caused oil prices to eventually crash to a 13-year low of $26 a barrel. William Thomas, CEO of oil producer EOG Resources (EOG), believes the industry is displaying a lot more "discipline" this year after learning some tough lessons from last year's experience. But even Thomas is worried about a repeat. "Our industry does have a bad habit of destroying capital," he said at a Sanford Bernstein conference last week. "We need moderate growth of oil in the U.S. We don't need a million barrels a day of growth." There are early signs that some U.S. oil companies are ready to pounce. For instance, last week Baker Hughes said U.S. oil rig counts jumped by nine -- the biggest increase since December. And on Wednesday the U.S. Energy Information Administration estimated U.S. oil production rose by 10,000 barrels last week. That makes sense since crude prices are already at or near the levels that some American oil execs have signaled they need to justify a resumption of pumping. Last month, RSP Permian (RSPP) CEO Steven Gray called $45 a barrel an "inflection point" that would cause the oil producer to think about adding a rig. Likewise, Pioneer Natural Resources (PXD) said it expects to add five to 10 horizontal rigs when oil recovers to about $50 a barrel -- a milestone hit late in May. Even before oil hit $50, Occidental Petroleum (OXY) on May 5 ramped up its 2016 output targets to a range of 4% to 6%. "We believe the world will continue to need oil. And when markets demand production growth, they will first to look to the Permian. And we will be ready," Occidental Petroleum CEO Vicki Hollub said during a conference call. Others, like EOG Resources, have signaled they will wait for "sustained" oil prices of $60 to $65 a barrel before jumping back in. "Most companies are going to be pretty conservative," said Brian Youngberg, an analyst who covers energy companies at Edward Jones. "I don't think they want to start ramping up, see oil prices pull back and have to ramp back down. We had a false start last year." It's also important to remember it takes time to get a permit, bring a rig into place, drill the well, complete the well and then tie it into the infrastructure. That process can take at least three months but often six months. But even before adding rigs, watch for oil companies to boost production by tapping drilled-but-uncompleted wells, or DUCs in the industry's lingo. Because much of the work is already done, these wells can quickly be brought back to life in just months. Bloomberg Intelligence estimates there are between 3,800 to 4,000 DUCs waiting to be tapped. "Operators usually complete those wells and bring them on line once the price signals some degree of stability. $50 to $60 is that sweet spot," said Vincent Piazza, a senior analyst at Bloomberg Intelligence. 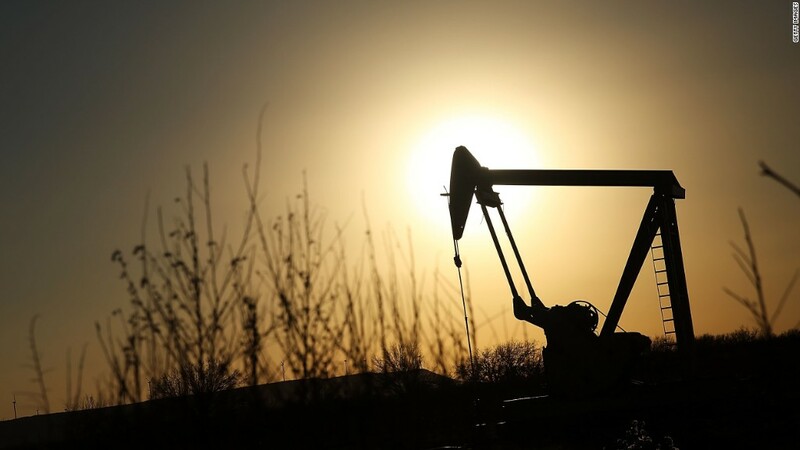 Whiting Petroleum (WLL), the largest producer in the Bakken, recently said it would start tapping its array of 100 uncompleted wells, if oil prices can stay at $50. "Bringing down that number of (wells) would be one of the first things we would do at higher prices," Whiting CEO James Volker said during a conference call at the end of April. "With so many U.S. exploration and production companies currently suffering, alongside oil-producing countries, it is quite reasonable to assume increased global production should $60 per barrel be approached," LaForge wrote in a report.